- Not a good first half for the Lions, to say the least. They are fortunate they are only down 14-7 and still in the game, especially given the injury concerns surrounding Packers QB Aaron Rodgers. It's amazing how much better the Lions are in their two-minute offense than their regular offense. Makes you wonder why they don't play up tempo more. It was a nice drive to end the half, but with great help from Brad Jones and a bad penalty by the Packers. 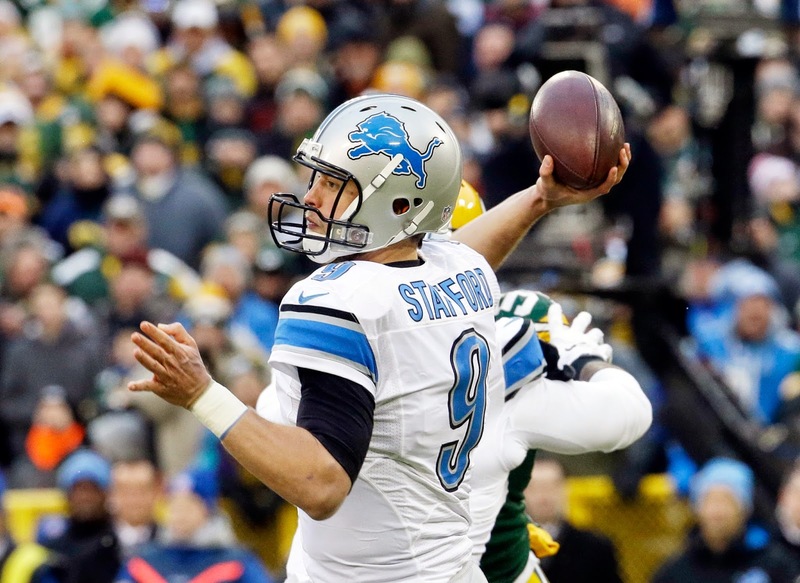 - Matthew Stafford is proving the critics he is inaccurate and inconsistent right so far today. He must be more accurate throwing the football if the Lions are to be all they can be. He missed way too many throws in the first half. It was especially costly when he missed Calvin Johnson with the deep throw. It's not like the Lions' haven't run the ball well. The run blocking has been pretty good. Playing outside in the wind isn't an excuse, either. Those were just bad throws. In contrast, see how well Rodgers played despite being far less than 100 percent? - The Lions defense hasn't only been stout this season. It has been very effective forcing turnovers. Another big play by a safety in the second quarter, this time James Ihedigbo forcing a fumble. Good thing, too, because otherwise the Lions vaunted "D" is getting scorched. - It's kind of odd to see two teams playing in a big game like this displaying such shoddy tackling. 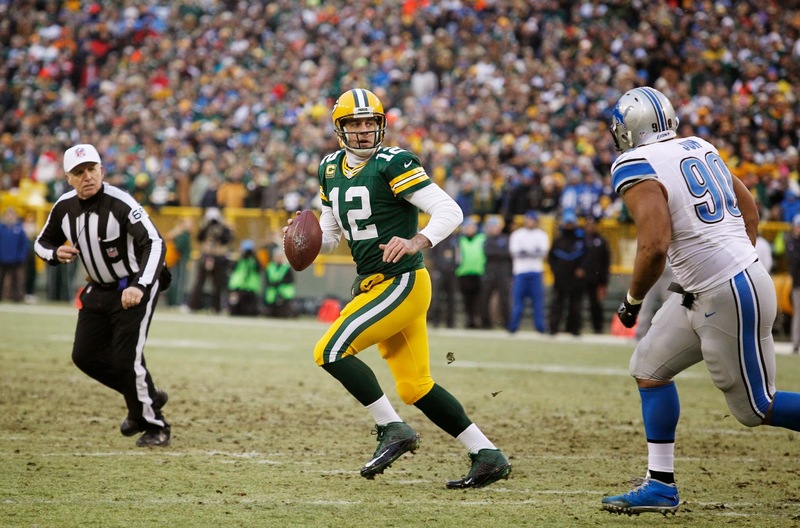 - I know Matt Flynn has burned the Lions in the past at Lambeau by the Packers are a totally different team with him in rather than Rodgers, who has 24 TD passes and no interceptions this season in home games.